As part of our standard services we offer a brick collection and delivery. We'll collect your bricks from site, then following cutting or manufacture into cladding panels, deliver back to you at your appointed location. We're ideally located in the centre of Yorkshire by the M1/M62 and typically cover haulage with our own fleet within Yorkshire, Lancashire, Derbyshire and the North East. 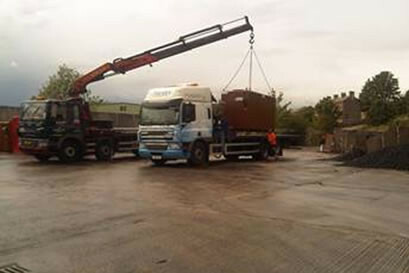 Further afield and during times of peak demand we utilise our preferred external haulage contractors. For delivery of brick matching samples and smaller quantity orders via our online Brick Slips Store we use standard courier services.